Based on the phase of the moon, this isn't even a new picture. The picture shows a waxing crescent moon. On August 25th, the moon had already entered a waxing gibbous phase. This is just some file picture Team Obama already had. 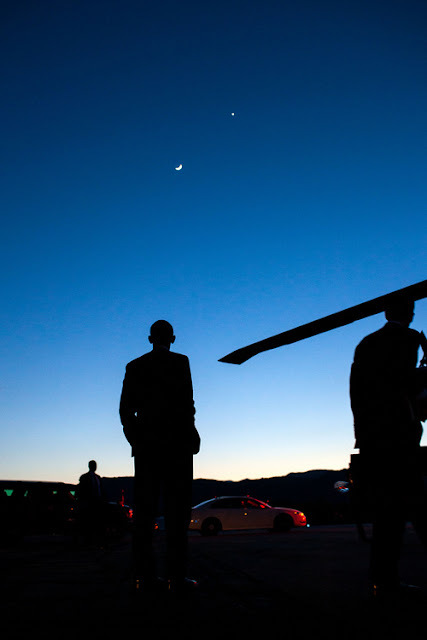 I don't know what Obama was thinking about in the picture, but it wasn't the passage of Neil Armstrong. He was thinking, someday this will all be mine! Our president is sad state of affairs. Everything is about him.